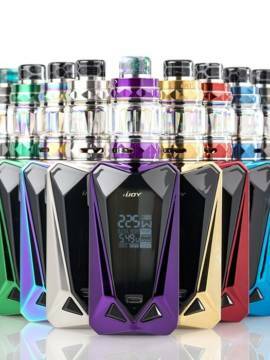 Vaporesso introduces their newest member of the Revenger Family, the Revenger Mini, which combines the most advanced OMNI Board 2.2 chipset with a 2500 mAh built-in battery. The Revenger Mini allows for a wattage range of 5 to 85W, alongside multiple output modes, and retainins a small and compact design. 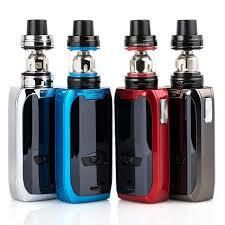 The Revenger Mini also features a unique lighting pattern that lights up on the back cover of the device, which stands out or blends as needed. 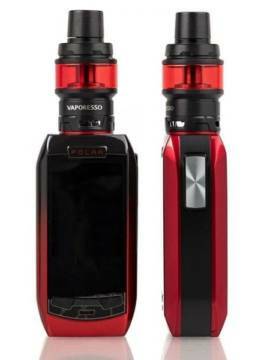 Equipped with the Revenger Mini Kit is Vaporesso’s NRG SE Sub-Ohm Tank, a smaller version of the original NRG Sub-Ohm Tank, using innovative GT cores in traditional and CCELL style coils. Included with the NRG SE Sub-Ohm Tank are two coils: one 0.15 ohm GT 4 coil and one 0.5 GT CCELL SS coil. The NRG SE Sub-Ohm Tank features a slide-to-fill top fill design with large fill port, allowing it to accommodate up to 3.5ml of E-Liquid. Airflow enters the NRG SE Sub-Ohm Tank via dual adjustable bottom airslots, measuring at 13mm by 2mm each airslot. The NRG SE Sub-Ohm Tank comes with a 10mm bore delrin drip tip, allowoing the user to obtain adequate vapor, a spare glass tank section, and replacement o-rings. 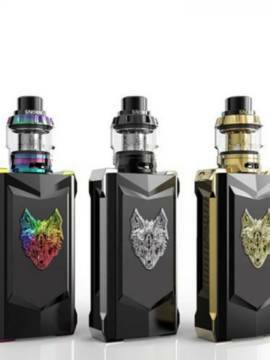 The Vaporesso Revenger Mini 85W TC Starter Kit is the perfect setup for users looking for a high performing device that maintains a convenient and compact size!